Ashampoo Burning Studio is the proven solution to burn all types of data to CD, DVD and Blu-ray. Movie discs along with animated menus, slide shows and MP3 or audio discs are also equally easy to create. Ashampoo Burning Studio is a powerful disc burning software for CD, DVD and Blu-ray discs. Core features include burning of files, audio and video to standard blank discs but also specialized media such as BDXL or M-Disc. The built-in disc ripping supports auto-detection of track names and audio files can easily be turned into custom audio discs complete with individually designed covers and inlays as well as playlists for easy playback. The program can also finalize discs to make them playable on older retail players. Ashampoo Burning Studio features disc spanning that automatically spreads data across multiple volumes and avoids size constraints. This makes it incredibly easy to burn entire collections of photos, documents or songs to disc. Users of disc images will appreciate the support for ISO and CUE/BIN along with the integrated image preview during the creation and browsing of disc images. Ashampoo Burning Studio also includes backup features to save data of any file type to disc, flash drive or external hard disk. The 1-click backup tool takes care of external files, e.g. from USB sticks or tablets. Don’t let the name “Studio” fool you. It’s primarily a burning program. And for that it works just fine. However, with a name like that, you would expect it to allow you to create DVD or Blu-Ray menus for movies, maybe even edit movies. It does none of that. Decent program, just a misleading name. It says burning studio, not authoring studio. Do you know the difference? CD and DVD devices have been used for a long time to store data like photos, music, or videos/movies. The biggest advantages of using CD/DVD drives to store data is that they come at a cheap price per gigabyte. Creating audio discs, video discs, and discs with other data can be easily done at home, as most PCs and laptops do offer an optical drive. It is an easy task, if you have just the right tools for the job. 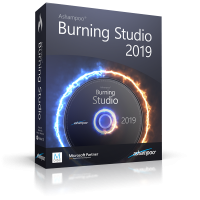 Ashampoo Burning Studio 2018 is a fully-featured disc burning and ripping software application, designed to help you burn any type of files to discs, generate ISO images, design covers, and do much more. The installer size is ~75MB and might require a fast and stable internet connection to be downloaded. The installation process is simple and straightforward, and does not take much time to complete. Before the installation continues, it asks users to enter the license key they have to proceed. After launching for the first time, it automatically detects all the optical drives attached to your system. If you have no optical drives or if it is not detected, it pops up a message and guides you on what to do. Once all that is done, you can start using the application to burn, rip, backup, and more. The interface is clean, easy-to-work with, and has a modern look displaying all the functions at the left-side. Hovering over any option, a window appears showing further options in that category. There are 10 options in total, namely Burn Data, Audio + Music, Movie, Cover + Inlays, Copy Discs, Disc Image, Backups, Advanced Functions, Open Projects, and Service. All the options lead to wizard-like windows, that guide you through the process. At the top-right there are buttons to access settings menu, help documents, change skin, and change language. You can select any language from the many available, and you can create your own skin or download a skin and apply it to the UI. – Clean, Easy-to-use UI, with wizard guided processes. – Create CD/DVD/Blu-ray and data discs with autostart capability. – Erase rewritable CD/DVD/Blu-ray discs such as BD-RE and CD-RW discs. – Create skins for the UI usig your own background images. – Design and Create covers for DVD case, Slim case, BD case, Disc, and more. – Create disc images from CD/DVD/Blu-ray discs. – Backups from mobile devices such as smartphones and tablets (e.g. iPod, iPhone, iPad and Android devices) at the click of a button. Backups can be compressed and encrypted. – Supports many languages and versions of Windows 7, 8, 8.1, and 10. – Does not allow data compression before burning to the disc. 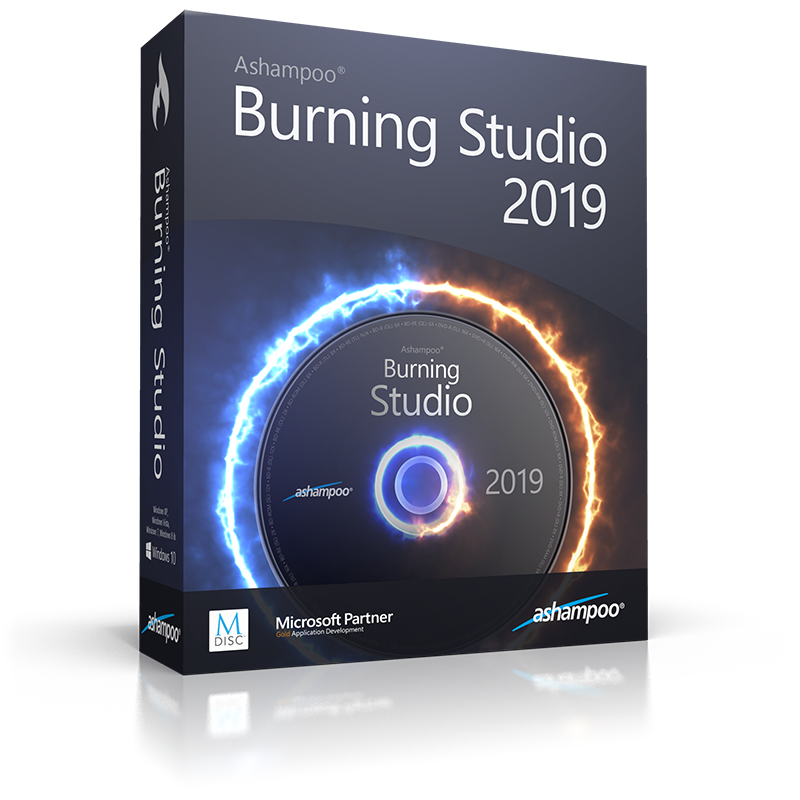 Ashampoo Burning Studio 2018 is a user-friendly, reliable, and powerful application that comes packed with all the tools necessary for all your disc burning and ripping needs. The applications runs smoothly, without any lag or crashes. It is definitely recommended application for users who deal with disc burning and ripping often. In the spirit of its predecessors, Ashampoo Burning Studio 2017 promises to deliver a solid option for burning content to discs. This version comes with more optimized features that will ensure you have a smooth experience performing other tasks like extracting audio and backing up data. To top it all, this program has an integrated editor to help you create your custom disc covers and booklets. I tried this disc burning application and here is what I noted. The first thing that you will note is the sleek and intuitive interface that works to make the burning process simple. Even with minimal disc burning experience, you will find it easy using Ashampoo Burning Studio 2017 right away after its installation. To get started, you need to specify the project file, drop your source files to the main window, and start burning your CD or DVD right away. You will not be disappointed when it comes to burning audio CDs. This program supports a wide range of audio formats, hence making it flexible regardless of the file type of your audios. It supports WAV, MP3, CDA, OGG, FLAC, OPUS, and APE. In doing so, the program allows you to burn discs for different players without the need for third party file converters. With this version of Ashampoo Burning Studio 2017, you can create compressed archive files of your projects. In doing so, you can access them at a later stage without facing any challenge. This is plus since the program only let you save your projects as ASHDISC images, which were quite large if the files were big. When using this burning software, you will note how quickly it verifies your discs before starting the burning process. At the same time, the process takes place steadily without impacting on your system’s performance. Most of my burning processes only required few minutes to complete. If you are looking for burning software that will make your CD or DVD burning experience enjoyable and effective, look no further than Ashampoo Burning Studio 2017. The program is easy to install and use. It also has a wide range of features that will prove helpful in addition to its stable burning process. It is worth trying out. slow at blue-ray burning…7 hours to do one blue-ray ? I would recommend Cd burner xp…it does everything and does it fast! This software increases the satisfaction to manipulate any pc, its easy, powerful, AMAZING, thanks!! I downloaded this software last time it was offered. Works great. No compatibility issues with Windows 10. Excellent software , super easy to use and does reliable burns , dvd or bluray . Love this stuff . looks like a great program!! Ashampoo Burning Studio has been the king of creating and ripping DVDs, blu-ray, MP3s and CDs for a while. It’s flexible, easy to use and light on the system. It will work perfect for anyone who wants to burn, rip or manage images on their computer. Ashampoo Burning Studio 2016 lives in the stellar user interface performance heralded by its predecessors. Everything sits on a neat menu bar to your left and a perfect grouping approach puts the basic controls for each action you take at your fingertips. Couple this with the robust burn data, music and movie options and you get an all rounded tool that will help you manage all your data and files in the most seamless way possible. It’s versatility extends beyond mere burning to additional features like backup and restoration, designing covers for your discs and creating/managing disc images. Additional advanced settings let you control how you want to burn your data. This is especially useful when writing bootable disks. Ashampoo burning Studio 2016 will let you alter the boot settings, file structure and other things that will help you get the perfect disc. Most of the top tier burning studios will either let you compress your data or do some extensive customization before burning. You cannot compress those large Blu-ray movies to fit into small capacity discs. Customization features like editing the video you are burning are lacking but you can choose the specific file structure for data discs using the advanced feature. Ashampoo Burning Studio is a great free tool that will give you more than just burning Blu-ray, DVDs and CDs. It extends its functionality to cover basic data management process and gives you total control over data backup and pre or post disc authoring procedures. Long time user of ABS 6 Free, but this is a different story and quite multi-functional. Thank you very much! So much for “universal solution for everything burning-related.” I just need to make a DVD from .mp4’s. I guess it is wrong to assume this software works the same way as it makes a CD from .mp3’s. Very nice software! Been using this for a lot of years! Thanks sharewareonsale for getting this for us. Been using Ashampoo burning software for years . Never a problem , super easy to use and does a fast quality job on Blurays and dvd’s . So far Burning Studio 16 follows the past trend . Recommend ! OK but cumbersome. Much prefer the free Starburn for all burn need. I recently purchased Burning Suite v15 (wish I had waited now). I was trying to burn some cd’s and my existing program just was not working properly so tried a trial version of Ashampoo V15 and was very impressed (I have several of their programs already), which I then bought. It is very wasy to use, is quick and works very well. Excellent program even when you have to buy them. I have used Ashampoo Products for many years and have to say thev’ve done it again a great bunrning studio for all your burning needs. Great software! Works very well. It is best than nero burning room. ANDY you right; what is so best on NERO? – question for those who minus ANDY.. Todays nero just consuming space on harddrive, ram memory, can not leave comment to viping stupid “search plugin”, which will install until i check “NOT install”; nero was best at version 6, now it is just tons of stupid junks and contraproductive addons like “theatre player”.. But Ashampoo burner is just burner, that mean, who need burner, need exactly burner( = Ashampoo ).. Thank you both, Ashraf and Ashampoo. It’s great to upgrade from v15 to v16.